Character Performer, "Oracle" and "Alien"
Dance / Character Performer, "Dali Dollie"
Dance Performer, "Main Stage Mermaid"
Character Performer, "Wind-Up Doll" and "Forest Maiden"
Dance Performer, "Raver", "Nautical Babe" and "Madame Hydra"
Dance Performer, "Juicy Fruit" and "Military Brat"
Megan began dancing at the age of five and trained in ballet, jazz, hip hop and tap until the age of thirteen. Taking a break from dance to pursue different athletic avenues, she joined her local crew (rowing) team and fell passionately in love with the intense physical training, continuing that training for four years. Seeking higher education, Megan moved to Tallahassee to attend Florida State University where she eventually began a body-painted and dance performance troupe and started her go-go career. Three years later, after obtaining her Bachelor of Science, Megan finds herself in North Carolina and freelances the region of the East coast. She now holds a residency in downtown Raleigh, for which she designs custom costuming, and she aids in troupe management for various companies from a distance. With experience in costuming, body painting, dance performance, and specialty props such as batons, flow wands and fans, Megan is a performer to her core. Carrying her previous residencies from her time in Tallahassee proudly, as she was a spearhead in the go-go stylings of a city which was sorely lacking in additional performance entertainment, she Megan is a profound addition to any team considering her drive to grow local markets. Megan uses the stage name "Levana". A translation of her legal name into Hebrew and a poetic reference to the moon, Levana is a powerful pseudonym. With Latin roots, the name Levana is also associated with the word "upflifting"--which is a perfect representation of Megan's working behavior. 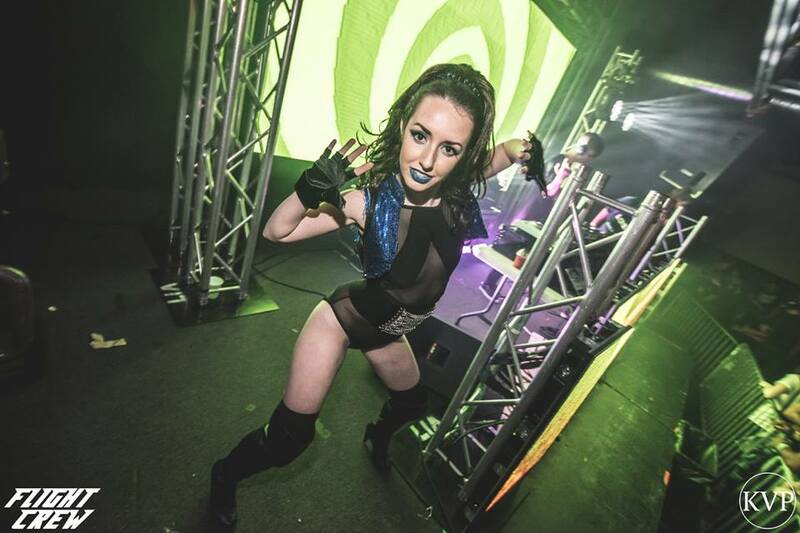 As a performance artist, Megan strives to connect with the crowd and transfer positive, passionate energy to those who also love music. Like the moon, Megan is a strong, feminine presence and a source of guidance; she provides light to those in need and strives to always shine in the darkness. Additional photos and videos can be found by navigating the links near the top of the page. The first link is her Facebook page, and has albums of photos; the second link is her Youtube channel; the third link is her performance Instagram. 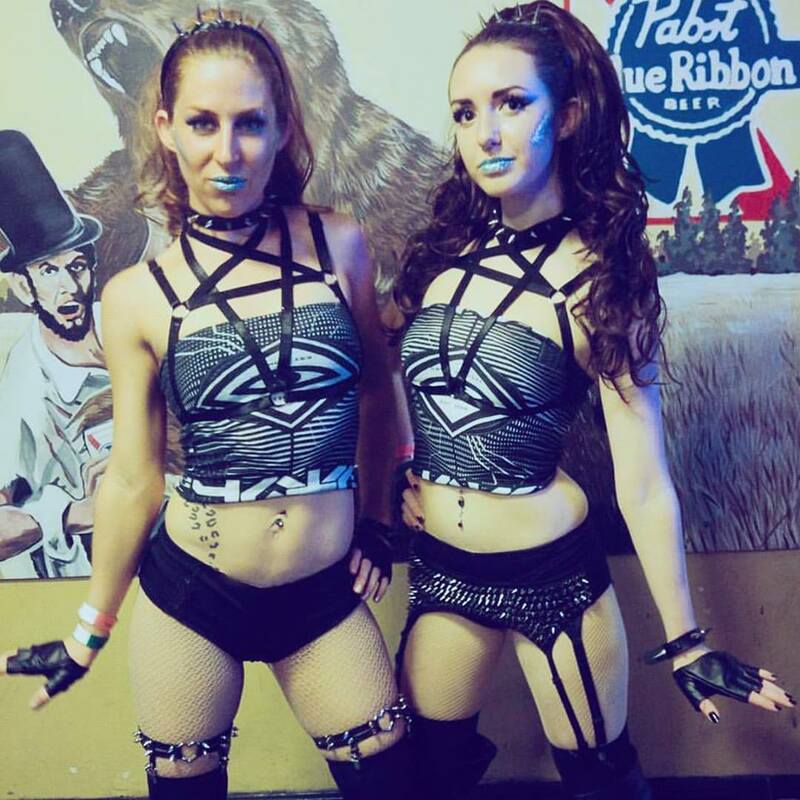 Extensive experience performing gogo dance for a multitude of artists and music genres, demonstrating high-energy for ultimate crowd interaction. Extensive experience integrating live art with and gogo dancing. Given the sensitive nature of body paint, with regard to intense stage lighting and soluble materials, bodypainted dancing requires a finesse of powerful, but controlled, performing. Levana has over five years of experience with this medium. 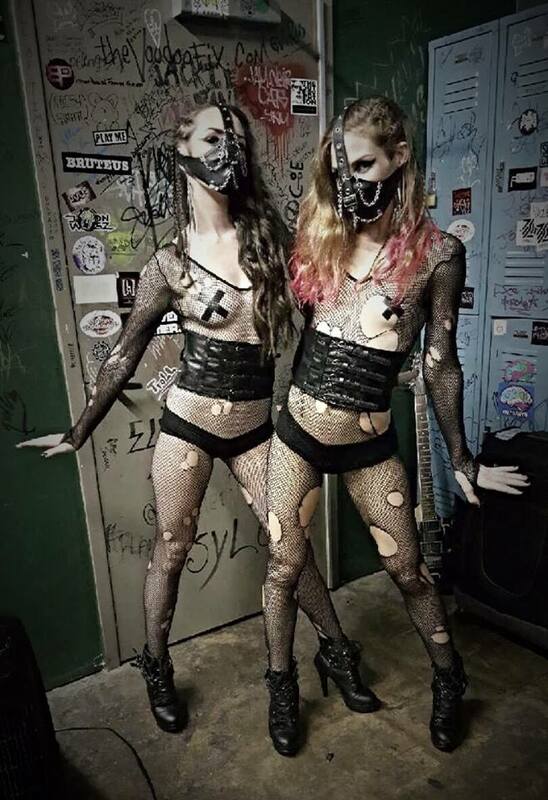 Half a dozen years of experience in bodypainted design, outfitting and theme work, creating niche looks tailored to specific events and hosts. 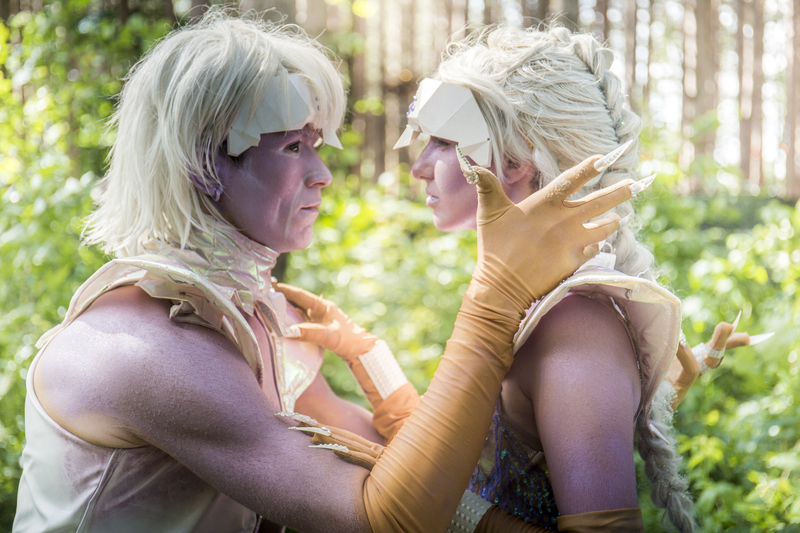 Levana has multiple years of experience in character performance with elaborate costuming. 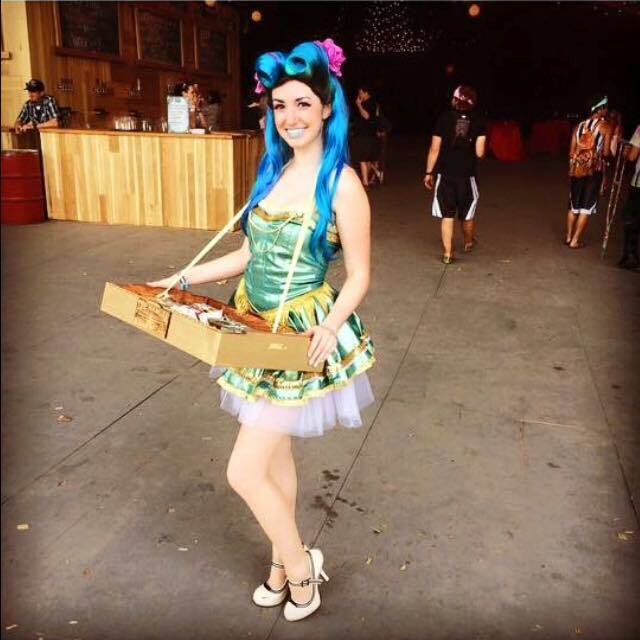 Most notably she was a Candy Girl at Electric Forest and a Military Brat at Electric Daisy Carnival Orlando--these two juxtaposing roles prove she can fit any personality. LED Fans - modified steel fans to create glowing imagery during performances. Pyroterra RGB fans have a plethora of light color and frequency options, controlled via remote; performances with this prop require significant space for safe spinning. The combination of artistic mediums used on a live subject, such as a dancer. Considering the original main focus of her troupe - Sirens Performance Art - Levana has great knowledge of paint layering, combination and general use. She creates her own art work, and can assist other artists.